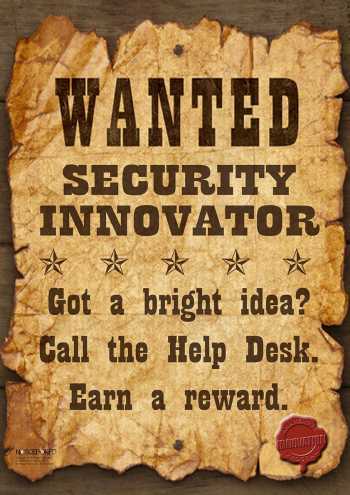 While there is a desperate need for creative ideas or inventions in the general area of information risk and security controls, specifically for defensive purposes, the implementation phase of innovation is also in need of creativity and care. Information security products (both goods and services) that are inherently insecure are not uncommon, unfortunately. Aside from simple bugs, implementation issues, incompetence and ineptitude, we occasionally see evidence of fundamental security flaws in the designs, while rumours of backdoors being deliberately inserted by the authorities persist (partly a reflection of justifiable distrust in Big Brother). Given the trusted nature of their products, social engineering, insider threats and subterfuge are likely to occur in organizations that produce security products .... so we also need innovation in the area of security assessment and certification of security products, as well as various internal security controls. In government and military circles, schemes such as Common Criteria improve product assurance but are unbelievably costly. A more affordable version of CC for the general commercial and personal markets would be cool ... so today I am delighted to announce UC (Uncommon Criteria), a brand new cut-price assessment scheme for security innovations. Simply send me your idea to evaluate, along with US$10 via PayPal. I'll take a quick look at your suggestion and let you know what I think of it. Fantastic, call me, let's talk! Have you checked the patent databases? Not new: have you even Googled it yet? Trust me, just trust me OK? Very very very over-blown: are you in marketing? Zero points, computer says "no"